Data and IIoT | How AutomationDirect.com Can Help! /Data and IIoT | How AutomationDirect.com Can Help! Cookies are awesome! 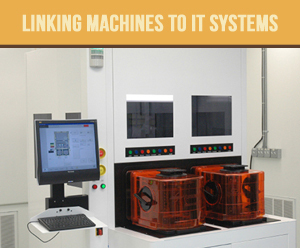 Ok, we might have been a little hungry when we put this together but the accessing data infographic shows how system data can be collected at all levels of a cookie production line using AutomationDirect products. From the raw data collected by the Productivity2000 PLC, to the refined data of the C-more HMI, to advanced data collection with the Point of View software. It also shows the types of data and some of the ways it can be accessed at every level of production. It also includes links to articles that discuss data collection in greater details if you were looking for more. So go ahead and pour yourself a tall glass of milk and check it out, I’m heading back for seconds! Click here to view the infographic or click on the image below. Click here to view the inforgraphic or click on the image above.